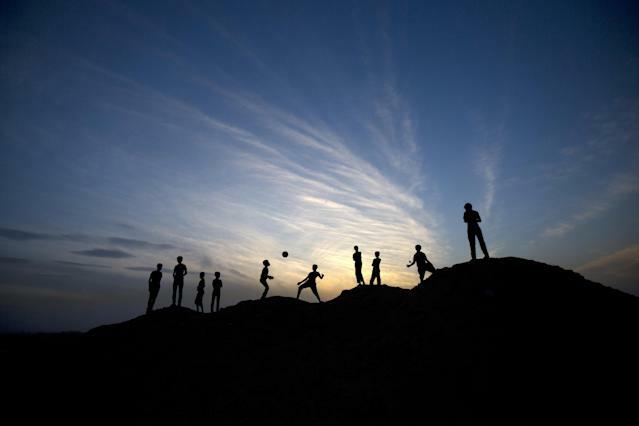 Gaza City (Palestinian Territories) (AFP) - Palestinian footballer Ahed Zaqqut was a local legend. Hanging up his boots after a stellar career as a midfielder, he went on to coach in Gaza until an Israeli missile slammed into his home. The 49-year-old was killed outright, robbing Gaza of one of its best-known players and most well-respected coaches. "I heard an enormous explosion. I rushed out of the bathroom and saw a cloud of dust," his wife Mayada told AFP of the day when a missile hit their Gaza City home on July 30. "Then I knew that the rocket had fallen on us. I saw Ahed, his head and chest were soaked in blood. I couldn’t stop crying. The neighbours came and took him to hospital but he was already dead." Although Zaqqut never played internationally, he was a local Palestinian celebrity and just one of a number of sportsmen killed as a result of Israel’s bloody five-week confrontation with the Islamist Hamas movement in Gaza. 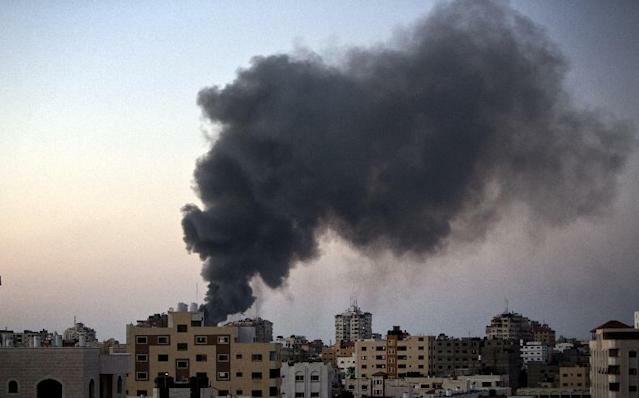 The Palestinian Football Association (PFA) says it has not yet assessed the total cost from the war. But several members of the footballing community have been killed along with countless fans in a territory where people are passionate followers of "the beautiful game". Football is hugely popular across the Palestinian territories, where it has been played since the 1920s during the time of the British mandate. The best footballers go onto become stars in the Arab world, playing for teams in Jordan and Saudi Arabia, for example, but local stars are much loved heroes in Gaza and the West Bank. Zaqqut himself hung up his boots in the 1990s after several career highlights which included a friendly against a French side headed by former French international Michel Platini, now president of UEFA, his wife said. "In 1993, he played a friendly in Jericho between a Palestinian team and a French team captained by Michel Platini," she said. He went on to set up the first football training ground in Gaza with his team winning the local championship in 2000. 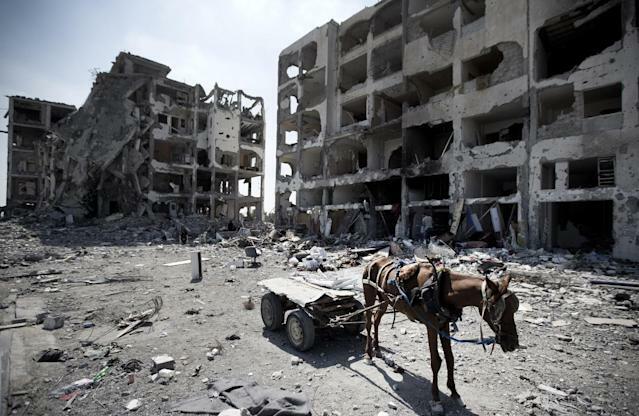 But the intensive fighting in Gaza has laid waste to most of the pitches used by local teams to train. The war has also made its deadly effects felt in the West Bank. Aspiring teenaged footballers Mohammed Qatari and Udai Jaber were hoping to begin playing for a Ramallah-based club this year. But the bright footballing careers ahead of them was cut short when they were killed last week during separate protests against the Gaza war. They were both 19 and were shot dead last week in clashes with Israeli troops. Mohammed was a bright hope for Palestinian football. He was even selected to meet FIFA president Joseph Blatter three months ago when he came to visit the West Bank. He was just about to sign with Ramallah side Shabab al-Amari, having played for the club's youth team, a team official said. Getting a professional league contract nets a young player a salary of $1,000 a month and can rise to as much as $2,000 for the best players at the West Bank's 12 professional clubs. "The war Israel is waging against the Palestinian people spares no one. The sports family in the West Bank as well as in the Gaza Strip are among those living through a real humanitarian catastrophe," said Abdelmajid Hijjeh, the association’s secretary general. As well as the deaths, the PFA says dozens of players have been wounded, sidelining them for the season – which has already been postponed indefinitely due to the fighting – and that numerous sports facilities have been damaged. The war comes at a particularly devastating time for Palestinian football. 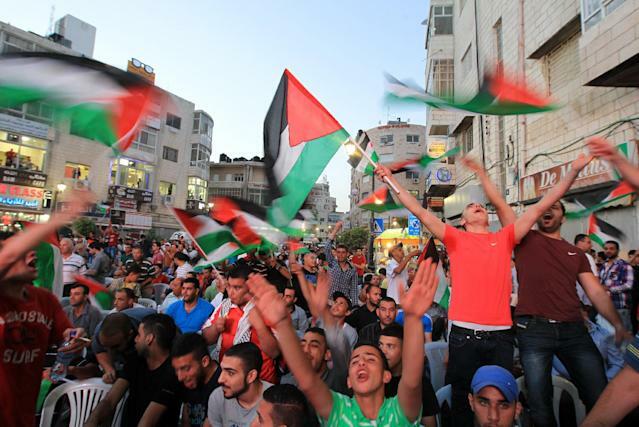 In May, celebrations erupted across the Palestinian territories after their national team qualified for their maiden Asian Cup appearance with a 1-0 win over Philippines in the Maldives. The win booked them a place in Asian Cup tournament which will be held in Australia in January. It was a historic achievement for a team ranked 85 by FIFA and which has been hobbled by long-standing Israeli travel restrictions, as well as arrests and killings. But just weeks after its crowning achievement, Palestinian football has fallen to a new low. The war broke out on July 8 and paused Monday at the start of a three-day ceasefire to allow negotiators in Cairo to thrash out a permanent truce deal. It has already delayed the start of the league championship which was due to begin August 20. No fixtures will be played until the warring sides agree on a permanent end to the Gaza conflict, which has so far claimed 1,940 Palestinian lives and 67 on the Israeli side. "Israel's war against Gaza has disrupted all sports fixtures. We're waiting for a ceasefire before we can go ahead and pick new teams," said Hijjeh.